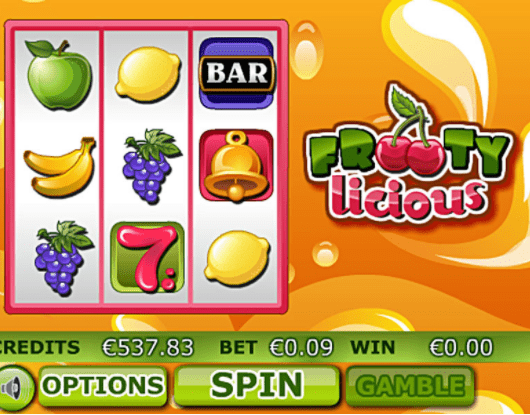 There’s something quite intriguing about all these fruit related online slot that are emerging on the market recently. Maybe it’s the vibrant colours, maybe it’s the fruit machine nostalgia. All we know is, Frooty Luscious is a wonderful looking 3 reel that makes you want to reach for the soleros and deposit some cash. What could be better than eating a passion fruit solero while winning some free spins when play the latest online UK slots? Hailing from Brisbane, Australia, Eyecon is a premium software company which specialises in online game development to the gambling industry. Founded in 1997, Eyecon has been in the gambling business since the dawn of the online betting revolution. Currently, Eyecon has over 100 online slot games all designed with impressive 3D graphics and animations, and include their hallmark immersive gameplay features. They have also started to branch out, and offer other casino classics and bingo games. Why don't you try and play our new slot games here? The classic fruit machine seemed to go out of vogue for a time, but it has started to make a comeback. There has been a burst of vibrant fruit machine themed slots in the markets which will please everyone from veteran gamblers to newcomers who are looking for something that is tried and tested. You can’t go wrong with a classic, and Frooty Licious is just that with its 3 reel, 9 payline online slot game from Eyecon. The simple and easy gameplay will make this online slot game the apple of your eye. Did you ever wonder what it's like to play the best slot games in the market? As you would expect from a game themed after the classic fruit machine, you have your typically retro symbols such as the Lucky 7, Bell, Bar, Cherries, Lemons, Grapes, Bananas, Apples and Melons. All are bright and colourful and will definitely make you feel as if you have had more than you recommended 5-a-day. You can set your coin values on Frooty Licious, giving you the player full control of your stake. You can start from 1p and go up to £1, and you choose from the Bet Selector by dragging the slider up or down to select your preferred number of paylines. You also have the hallmark Autoplay feature from Eyecon, where you can select up to 20 games to play automatically. The Lucky 7 is the Wild symbol and it will substitute for all symbols apart from the Scatter symbols when helping out in a winning combination. The Lucy 7 symbol is also the highest paying symbol, and 3 of a kind symbols appearing on any active payline will reward you with 1, 000 coins. The Bar and Bell symbols are your Scatters. The Prize Pick feature is triggered when 3 or more Scatter Bell symbols appear anywhere on your reels, awarding you with 3 picks. Each pick can reward you with 111x your total bet. If you get 3 or more Bar Scatters on your reels this will trigger the Free Games feature where you will be rewarded with 8 Free Games. During this feature, all of your prizes will be tripled! The Free Games feature can be triggered up to 15 times. You’ll also discover the optional Gamble Bonus on this online slot game that can pay double or nothing on your last win when activated. To win on the Gamble Bonus feature you will have to correctly guess which one of the two choices will be revealed. 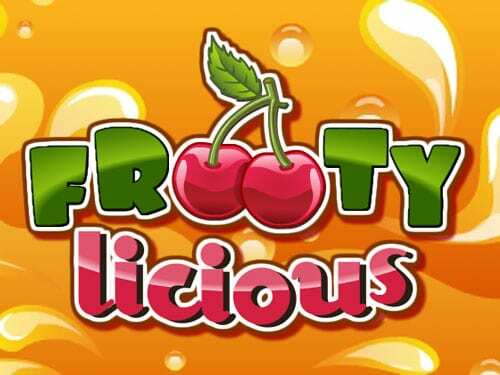 Frooty Licious will take you on a trip to the classic fruit machines of Las Vegas. This online slot game created by Eyecon is a real treat and will attract high rollers and newcomers alike, there is something for everyone in this traditionally themed game.